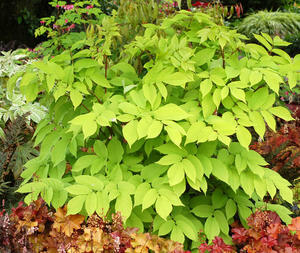 Beautiful, chartreuse foliage can reach 2-3' long and wide. Small clusters of white flowers in late summer are followed by decorative purple berries. An excellent choice for height and drama in the shade garden.